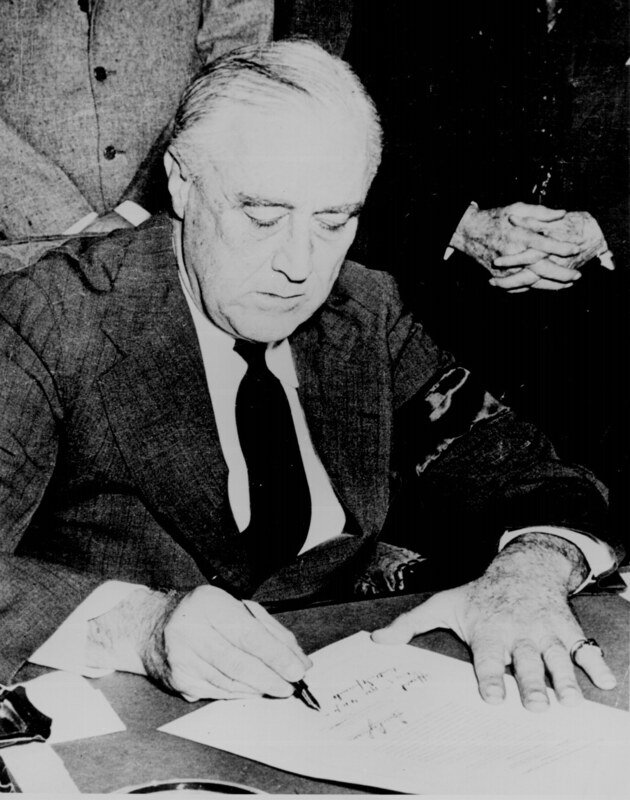 Original Caption: "President Franklin D. Roosevelt signing the Declaration of War against Japan, December 8, 1941." Japanese forces had launched a surprise attack on American forces stationed at Pearl Harbor, Hawaii, the day before (December 7, 1941). On December 8, 1941, President Roosevelt went before Congress asking for a declaration of war in his "A Day That Will Live in Infamy" speech. Within a few days, the U.S.A. would be at war with Germany, as well. The American war with Japan would end less than four years later, in August, 1945, following the dropping of atomic bombs on the Japanese cities of Hiroshima and Nagasaki. 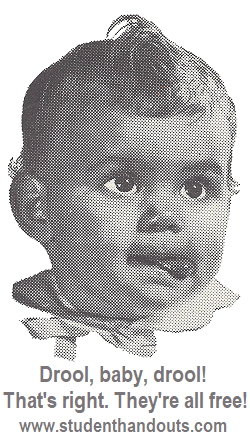 Click here to enlarge.